My Lovely Ambition: My local wears. 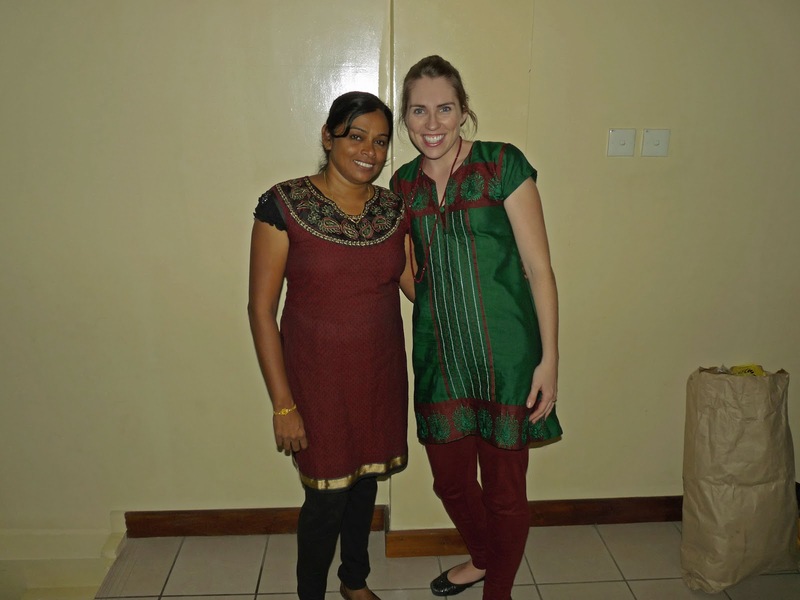 This week I had the great opportunity to wear some local clothing. The top picture is a dress that my friend gave to me. She actually bought it in India, not here, but it is close. Then another friend invited me to a wedding, and I took the opportunity to wear a saree. It was so much fun. There is so much that goes into wearing a saree-which I had no idea. Buying a saree was one of the most difficult parts. There are a lot of saree stores here, and each one of them has rows and rows of beautiful fabrics to choose from. Unfortunately, they are usually not organized in anyway, so unless you know exactly what color/style you are looking for, it can be completely overwhelming. 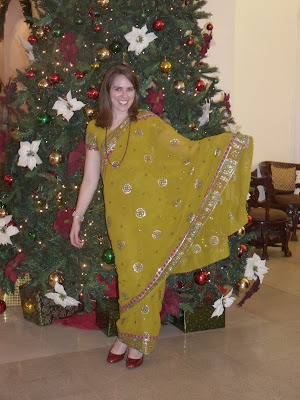 Once you choose your saree you have to have find a taylor to have a blouse and underskirt made. The good thing is that they are custom made, and since most saree blouses are made to expose the stomach, having it custom made was necessary for me since I like to cover my stomach. This request had a few blank stares and protests, but I insisted, and it came out just fine. Once the night of the event came, I had to have someone dress/wrap me because I had no idea how it all went together. Once I was all dressed and ready, I absolutely loved it. Wearing a saree feels elegant and is so much fun to wear.